The Lake Oswego City Charter establishes a council-manager form of government, which vests policy authority in a volunteer city council, and administrative authority for day-to-day operations in an appointed, professional city manager. 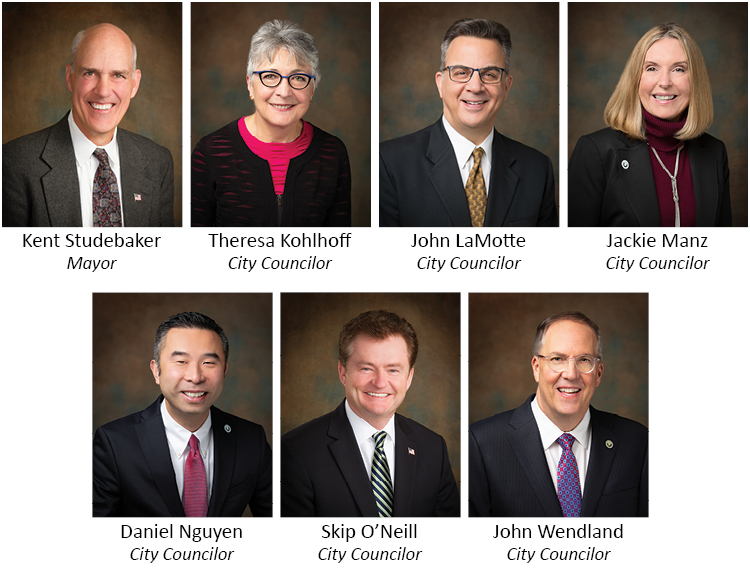 The City Council is the governing body of the City of Lake Oswego, and the citizens elect members at large. The Mayor and Councilors are elected to four-year terms. The charter provides that the term of office for the Mayor and Councilors not exceed a period of eight consecutive years. At least three council positions are up for election every two years. The three candidates who receive the highest number of votes are elected to the vacant seats. The Council meets regularly on the first and third Tuesdays of each month at City Hall. The agenda of each meeting includes time for citizen comment. For more information, call (503) 534-4225, or email the City Recorder.